Donkey Kong, Diddy Kong, Dixie Kong and Cranky Kong Return for the Franchise’s Debut on Nintendo Switch™! 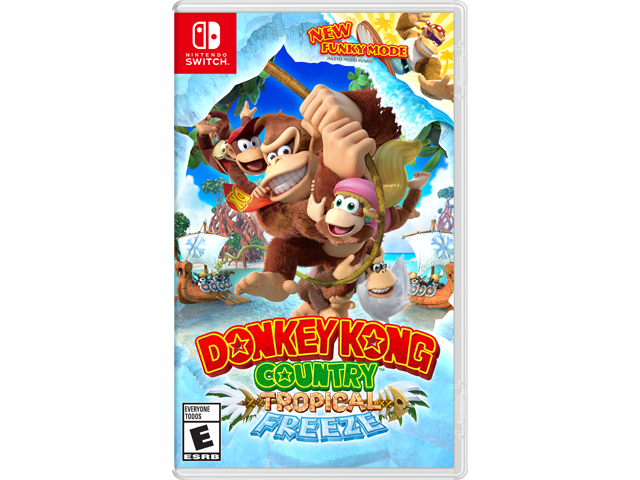 This title includes all the fun and challenge of the original game, plus a new beginner-friendly mode that lets players enjoy this critically acclaimed adventure as groovy surfing simian Funky Kong. Funky Kong can double jump, hover, perform infinite rolls and even perform infinite underwater corkscrews. Thanks to his sturdy surfboard, even spikes can't slow him down.